Creative Market - buy awesome fonts and stock photos. Ebates - Earn money when you shop. SendOwl - sell your digital products securely. Draft2Digital - Publish your ebook and distribute it to many stores. Fiverr - site where you can get a freelancer to do almost anything and where you can begin freelancing yourself and make money online. Get Blogged - site where you can get guest blogging opportunities that pay. Payhip - sell your digital products and set up an affiliate program. Sellfy - sell your digital products securely. Tailwind - enables you to schedule your Pinterest and Instagram posts when your audience is most engaged. Link Monster - get guest blogging opportunities that pay. Ultimate Bundles - sells awesome digital products. Viglink - install the plugin and become an affiliate for numerous brands. A Christian affiliate program is a system that allows you to make money by selling products that belong to someone else. What Products are in Christian Affiliate Programs? 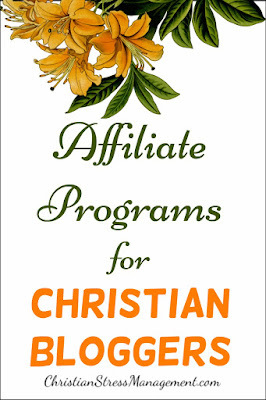 Different Christian affiliate programs offer different programs. Our affiliate program allows you to sell ebooks and ecourses. 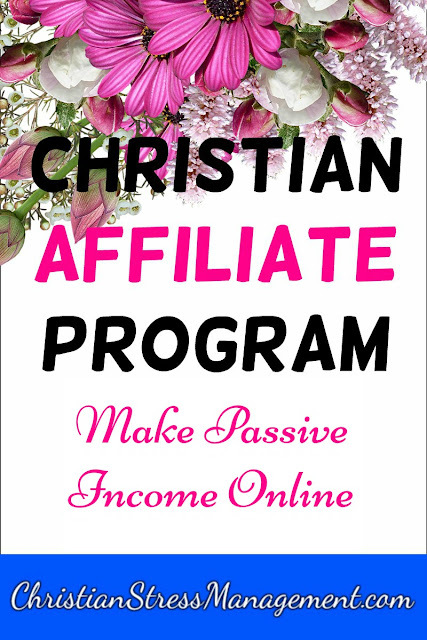 Different Christian affiliate programs have different affiliate rates. Our affiliate program pays you 50% of the cover price of each book or course you sell. Different Christian affiliate programs have different modes of payment. Our affiliate program pays you by Paypal address once you make a sale. Click on the links above to join the affiliate programs. You can sell the products on your blog as well as social media platforms like Pinterest, Twitter, Facebook, and Instagram. 1. Create long pins that are around 1102 by 735. To simplify the process, use Pinterest templates. 2. Ensure that your pins are unique and that have bright colors. You can take your own photos or buy Christian styled stock photos or feminine styled stock photos. 3. Add text overlays on the images with fonts that can be read from mobile devices. You can use free fonts or buy unique fonts to brand your pins. 4. Create 2 or 3 pins for each product you are promoting. If you need help you can use this Pin creating resource that I use. 5. 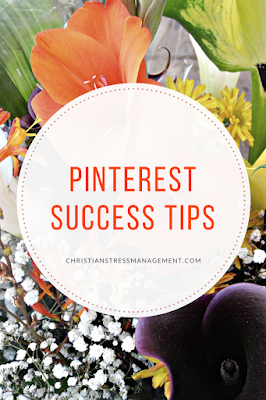 Make your pins search engine optimized (SEO) by adding keywords to their descriptions when you upload them on Pinterest. 6. Repin the pins of the pins of your target audience as they may just also notice your pins. Therefore if the target audience of the affiliate product you are promoting is fitness bloggers, also have boards for exercise plans so that you can repin their content. 7. Join Pinterest Group Boards to increase the number of people your pins reach. To join my Christian Bloggers Posts Group Board, contact me using the email below. 9. Read From Zero to Superhero Affiliate Marketing Bundle. 10. 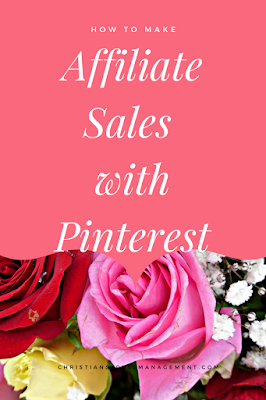 Read How to Make Your First Affiliate Sale in Pinterest in 24 hours. I read the ebook, followed its strategies and made my first sale in 24 hours. 1. 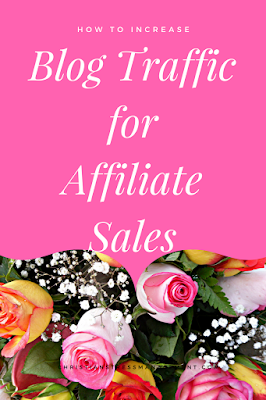 Creating several blog posts for the affiliate products you promote and consistently sharing them on Twitter daily, Facebook twice weekly and Instagram weekly. 3. Reading The She Approach to Boosting Your Blog Traffic. I have read this ebook and I am in the process of implementing her strategies which I find very useful. Thanks for sharing, Awesome tips and strategies. i am new in affiliate marketing now i am able to start my own affiliate marketing website so i work as full time affiliate and earn income.